When you think of chiropractic care, you most likely think of back adjustments, massage therapy, whiplash treatments, and similar therapeutic approaches. Power Plate, the latest in innovative athletic-training technology, probably doesn’t come to mind. Yet such advanced technology is exactly what we offer at Hanson Chiropractic to ensure you have access to the safest and most effective ways of improving your body’s alignment, strength, and overall function. One such technology is the Power Plate machine, an all-in-one device meant for weight loss, rehabilitation, and injury prevention. It’s composed of a large, flat trapezoidal platform that vibrates, a stand with a screen, and handrails to hold on to as needed. Upon seeing it, you may be confused as to what it does and how to use it. It doesn’t look like any other exercise machine you would normally see in a gym, with an obvious and limited purpose. Let’s take a closer look at how Power Plate works and why you should consider trying it out. What Does Power Plate Do? The purpose of the machine is to stimulate muscle contractions by sending 30 to 50 vibrations per second at safe levels of energy throughout your body. Your muscles naturally react with contractions at the same rate that are three-dimensional for a complete and in-depth workout. This method is called Acceleration Training. Some machines come with multi directional cables you can pull to target arm muscles. The Power Plate is very versatile with a myriad of possible workout and rehabilitation routines. Whether you choose to only stand or to add exercises, Power Plate also tracks your heart rate and range of motion. The concept behind how the device works is one you’re already familiar with: gravity. Gravity is the powerful force of attraction between heavenly bodies and other objects. In this case, it’s between the earth and you. The closer you are to the earth, the stronger the force, and the further away you are, the weaker the hold gravity has on you. Power Plate uses this law of nature to your advantage. Every time gravity pulls you down, your muscles contract and release to resist the strength of the pull. The quick up-and-down vibrations of the platform cause your muscles to contract very quickly to resist the downward pulls. This explains why the machine is so popular with basketball players who want to augment their jumping power, which relies on fast muscle twitches. Some athletes have reported vertical jump improvements by as much as 16 percent. Power Plate has often been compared to vibrating belts, but they are not the same. Power Plate differs in that it actually manipulates G-forces to alter the interaction between you and the earth, whereas the belts only vibrate. You increase in mobility, flexibility, endurance, and balance. Your muscles become stronger and more toned. You lose weight and cellulite. You have a reduction in pain. You recover faster from injuries and surgeries. You gain 350 percent more natural human growth hormone. An exciting find from one study was that obese people who participated in the Power Plate program had less abdominal fat at the end than those who dieted or completed a different fitness program. More importantly, they kept it off for a year. This is significant because excessive tummy fat is linked to higher chances of cardiovascular problems, such as heart disease, diabetes, and high blood pressure. Another study showed that seniors who trained with Power Plate for a year were less likely to fall, which is one of the most common injury risks for the elderly and can lead to major bodily harm. The participants had better balance and ability to maneuver moving surfaces and surroundings. You can experience even more physical benefits depending on how you use the device and what your health goals might be. Also, you are more likely to reach those goals because the simplicity, ease, and quickness of the process give you more motivation to do it. Your body isn’t the only thing that benefits from utilizing Power Plate. You also save time in recovery and money on medical bills, allowing you to get back to your normal life faster. It’s a rewarding activity all around. How Does Power Plate Fit into Chiropractic Care? You may think it odd for a chiropractic office to have a physical therapy program based on such a machine, and you may wonder what it has to do with chiropractic care. The answer is simple. A stronger body means fewer health problems and less pain. Strong legs and a stable core improve your posture and decrease back issues. When you enhance your overall well-being, you require less time in physical therapy and reduce the chances of injuring yourself again. Power Plate allows us to offer you a way to get better with less time and effort for all involved. This machine is meant for everyone, whether you are old or young, in shape or out of shape. In fact, because it requires minimal effort on the user’s part, it’s an ideal option for those with limiting health conditions, such as arthritis, multiple sclerosis, and osteoporosis. The only people it is not recommended for are those who are pregnant, are epileptic, have pacemakers, or have had joint replacements. If you’re the type of person who prefers not to try something until someone authoritative or famous whom you respect has approved it, then there is good news for you. Russian Olympic coaches in the 1970s first developed the type of vibration technology Power Plate uses. It was then adopted by Russian cosmonauts to prevent muscle atrophy while in space. In 1998, a commercial version became available on the market, with both facility and home machines now available. All this goes to show it’s not a new and temporary trend like other devices and programs in the field of exercise. It has been around for decades. Others who utilize the device are actors Courteney Cox and Mark Wahlberg, MLB player Evan Longoria, and Olympic athletes. You certainly don’t need to be a celebrity or professional athlete to use it, but you sure can look as fit as any of them if you do. Hanson Chiropractic is proud to provide you with a physical therapy program consisting of cutting-edge Power Plate technology. Learn more about it today by calling 425-355-3739 or contacting us online. 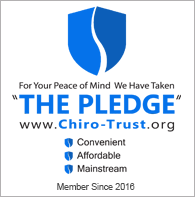 Be sure to ask about our other programs and services in order to receive the best personalized and comprehensive chiropractic care for your entire body.